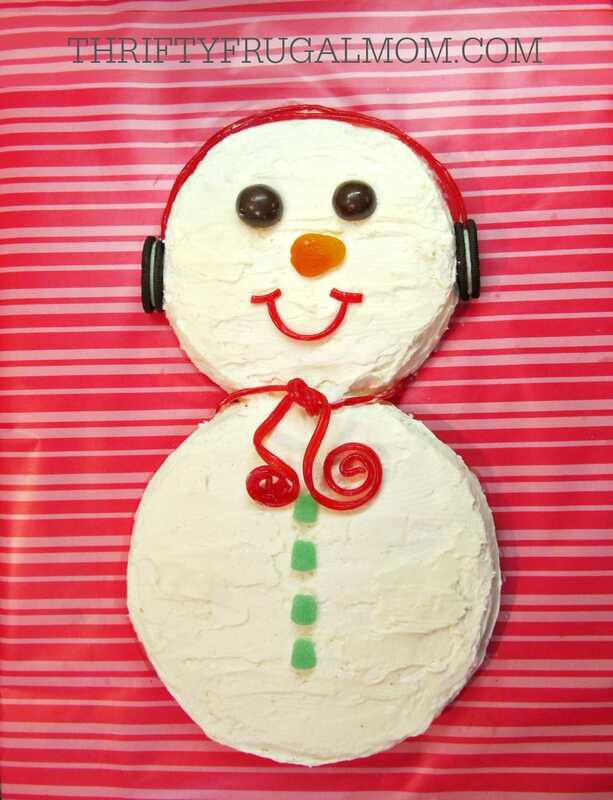 Perfect for winter birthdays or parties, this adorable snowman cake is sure to bring smiles! 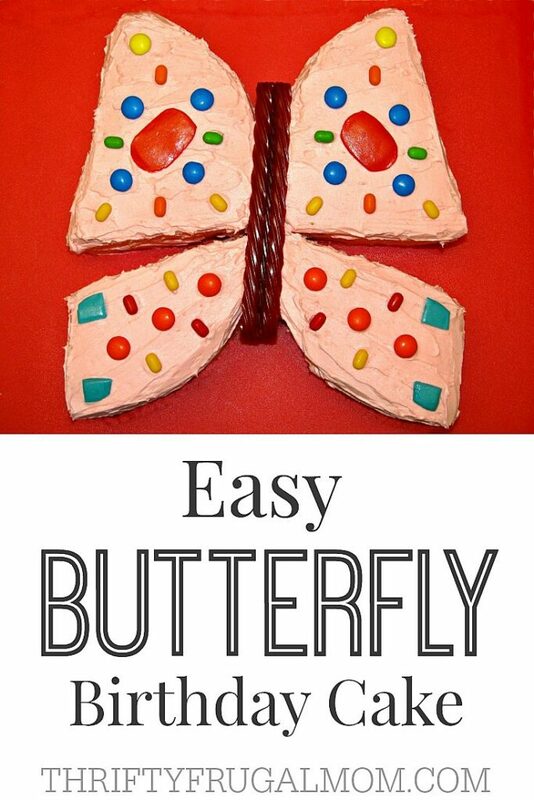 And you’ll love how incredibly easy it is to make! I’m not one of those moms that throws their kids big, amazing birthday parties. That is just so not me! But one of the ways that I do try to make their day special is by making them a fun birthday cake each year. This year I made this cute snowman cake for our daughter’s 3rd birthday. I had a wildly busy week and didn’t feel like I had a lot of extra time to put into making a time consuming cake, so this little snowman kind of saved the day! It was so incredibly simple to make and yet turned out so adorable. She absolutely loved it! 1. Mix up your favorite cake recipe and bake it in two 9-in round pans. (I made a white cake because I figured it I wouldn’t have to worry as much about crumbs showing up when I iced it.) Remove from pans and allow to cool. 3. Frost with white frosting. This American Buttercream with the suggested 4 oz. of cream cheese added had a wonderful consistency and made icing a breeze! My daughter just turned 3 and I made her a snowman cake also. It was easy and she loved it. I normally use white cake also so not to worry about the crumbs. Have a blessed day. This is so cute and actually looks like something I could pull off. I'm going to try it just for something fun. It will be fun to check around in the candy stash and see what I have to work with on this one. Thanks for the idea, and a hearty Hooray for the comments returning to your blog now! Monica, yup, if you can ice a cake, then you can make this one- it's that simple! And I love the idea of just using candy from the stash. A great way to declutter and not feel bad about eating it too! :) Oh, and you have no idea how much I'm enjoying the blog comments again. On the other hand, you probably actually do. At any rate, I'm trying to refrain from collecting stats and saying, "I told you so!" WOW, In love with this cake. 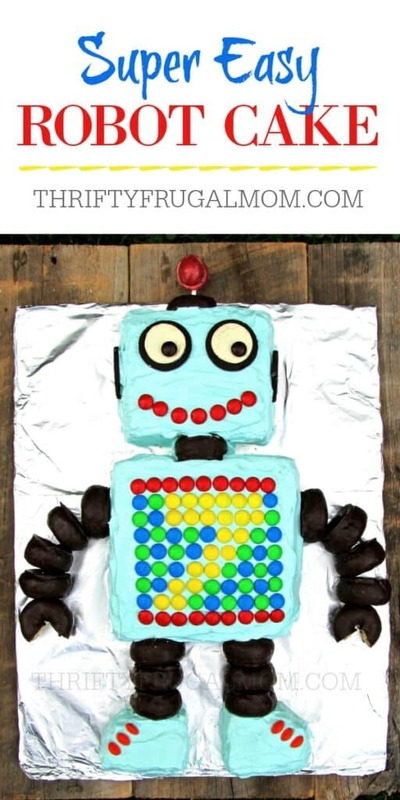 Thanks for sharing the directions to make this amazing cake.